Aeropostale is a company in the clothing industry that aims to please young adults sense of fashion. They offer their products to teenagers around the world with their mall-based stores, and their online shopping site. Their clothing is designed for the energetic and tasteful lifestyle of teens. P.S. is another clothing store that the company owns. The difference is that P.S. sells attire for pre-teens and children. P.S. also has an online site for shoppers to visit. Making it easier for them to still be capable of bring their customers outfits since at the moment there is approximately 45 stores compared to the 900 Aeropostale stores currently open. Aeropostale was first introduced into the clothing scene in 1982 as a brand sold at Macy’s. The name was successful enough that in 1987 they opened their first location. Twelve years later the management team purchased the brand with 119 stores. In 2007 they were earning over one billion dollars in revenue and in 2009 they opened their first P.S. store. The following year they opened their first international store and their flagship store in Times Square, New York. It’s clear to see that their success with clothing and style is spreading. Aeropostale jobs are a great opportunity for someone who is interested in fashion, customer service, and having a good time. 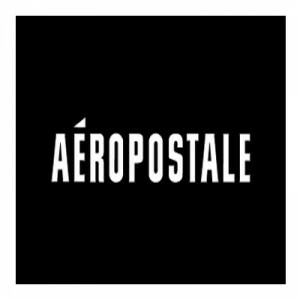 If you’re interested for employment under this company continue on reading, fashionista, and you will discover some useful information on how to obtain Aeropostale careers, as well as what it’s like working for a fashion retailer. Before you apply for jobs at Aeropostale, it would be helpful to know some the hiring requirements wouldn’t it? For instance, how old do you have to be to work at Aeropostale? The answer is 16 years old for temporary positions during the seasonal holidays, which means if hired, getting a store discount will definitely be a benefit. If you are below 18 years of age you will also be required to show a worker’s permit when applying and employment may be dependent on which state you are in. If you are older than 18 than it is possible to be hired for full-time positions. For corporate Aeropostale careers you must be at least 18 years old. As with any job you may be trying to obtain it is best to be drug free and not have a criminal record. When trying to obtain Aeropostale jobs it is respectable to be a happy, confident, and productive individual. This is the type of worker they want to add to the environment their stores bring to the consumer. Which job you receive will depend on previous experience, however one of the many benefits of working at this clothing retailer is that they believe in promoting from within the company. Therefore you may start out as sales associate, but put forth the work and effort and you could be a manager in no time. Sales Associate- The company is looking for sales associates who are very up beat, energetic, and sociable. If you are good with communicating and selling products, as well as knowing about present day fashion related trends than this could be a perfect starting point. A sales associate can expect to make anywhere from minimum wage up to $11 depending on previous work experience. Other benefits that are possible for an associate are discounts, competitive pay, and healthcare. Stockroom Merchandise Flow Associate- In this position the responsibilities are to help set up product and merchandise, as well as coordinate with managers on ways to improve sales. They help keep the store neat and organized and attend the management meetings. A flow associate will make about the same as a sales associate and receive the same benefits. Sales Lead- It takes two or more years experience with a supervising position in order to become a sales lead, but if you posses this, then your job would be to assist in the selling of merchandise, specializing in accessories, and assisting with the training of new sales associates. A sales lead will make between $11-$14 and enjoy similar benefits as the other employees. Managers and assistant managers are the leaders of the stores. Their responsibilities are to effectively and efficiently generate profit and promote healthy employee-customer relationships. It is their duty to know fashion trends and how to set up sales floors to maximize profits. They are also in charge of the hiring and training of new employees. Managers and assistant managers can look forward to the same benefits as the sales associates, flow associates, and sales leads. They also receive benefits like, health and dental insurance, tuition reimbursement, a retirement plan, bonuses, and much more. Unless otherwise told by a manager, make sure to go in person to ask for an Aeropostale application. Often it will help the goal of being hired by introducing yourself and dressing sharply. Dressing well for Aeropostale jobs makes sense too since it’s a clothing company. They probably wouldn’t hire anyone who walks into their store wearing shorts, slippers, and a stain covered tank top. After receiving a free application form, if you want to continue being impressionable sit down somewhere close by like a food court with the application and fill it out immediately. After finishing it give the direct application to the manager along with a resume, and if you have one, a cover letter as well. Doing all this will make it more likely that you’ll get a callback for an interview. Is the store currently hiring? What are the responsibilities of an associate? How much is an associate’s salary? Such questions will show the manager that you are definitely interested in a career with the store. It will also help you decide if this is the type of job you’re looking for. Are you wondering instead, how to apply for Aeropostale online? You can find a download application form for the company below. Another way to find Aeropostale jobs online, is to visit their website, and locate the “Careers” link at the bottom of the page. Once on the careers page you can choose which Aeropostale application you want to complete. To fill out an online application for storeline careers, you will first be prompted to create a login, after creating a log in you will be allowed to complete an Aeropostale job application online. As previously stated it would be wise to turn in a resume and they suggest this when applying for a management position. The site will take you to a printable application for Aeropostale. You may also complete it online and submit it after filling out the necessary information. After you apply online a page will allow you to find local jobs, as well as what job opportunities are available for hire. To apply to a corporate job, click on corporate opportunities, and choose which department you would like to apply to. Depending on which department chosen a list of openings will show what stores are looking to fill a position. The site will give a job description for any job that you may be interested in. For corporate jobs you will have to create a separate log in account in order to access the printable application form. The applications for corporate will be different then for the storeline jobs, for instance it will ask questions about past salary as well as what degree you may posses, but it can still be completed online or in-person. Sales associates are very pleased with working at the clothing retailer. The managers train their employees adequately; there are great benefits, and a professional, but fun atmosphere. Many boast about how much fun they have working in the fashion industry and that the shifts are short and not real difficult as long as you know how to communicate effectively and sell product to customers. Company policies are centered on the code of business conduct and ethics. This code practices policies like, fair trade, avoiding conflicts of interests, and accountability. Aeropostale is looking for workers who are law-abiding, honest, and act with integrity. Most companies share these same beliefs creating appropriate and comfortable work environments for their employees. If all of this sounds like the work environment you are looking to be a part of a couple of other companies to be considered applying for are Forever 21 and American Eagle, both of which might even have locations in the same mall as an Aeropostale. Forever 21 came out around 1980; it is one of the largest specialty clothing outlets and is growing tremendously fast. American Eagle has been around longer then both these companies and specializes in denim clothing. Of course, there are a lot of other clothing stores you can apply to while walking around a mall so spread those resumes and applications everywhere, this way you increase the probability of landing a fashionable job that you’ve been dreaming for. Quiksilver: For career opportunities, fill out the Quiksilver online application. H&M: For employment at H&M visit the application page. Justice: See our resource page for more information on Justice careers. Levi’s: Visit the job application for Levi’s to apply today. Billabong: See this page for jobs at Billabong.